The child must be single. 18 or older and unable to work due to a disability and dependent on the sponsoring parent. The child can include their own dependent children in this application. 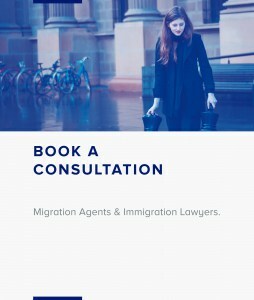 The child’s sponsoring parent must be an Australian citizen, the holder of an Australian permanent resident visa or an eligible New Zealand citizen. The spouse or de facto partner of the child’s parent can also sponsor the child. a step child who has not turned 18 of a step-parent who is no longer the partner of the child’s parent but has a legal responsibility to care for the child. A Child visa (subclass 101) lets an eligible parent sponsor their child to live in Australia indefinitely. The parent can apply on behalf of a child younger than 18 years of age. The child must be outside Australia when the application is lodged and when the application is decided. This is a permanent residence visa. You might be able to include your child in the visa application. Any children included in the visa application must meet the requirements for including family members in your application. The application must include documentary evidence of their relationship to you. Children who are included as members of your family unit must be able to show that they meet health and character requirements. Your siblings will need to lodge their own application. not getting married or entering into a de facto relationship before arriving in Australia. You must tell us in writing if circumstances change in a way that could affect the child’s eligibility for a visa, or your eligibility to sponsor the child. an adoptive parent who adopted the child before you became an Australian citizen, the holder of an Australian permanent resident visa, or eligible New Zealand citizen. have been granted your Australian permanent resident visa but have not yet entered Australia. A child who was adopted after you became an Australian citizen, the holder of an Australian permanent resident visa or eligible New Zealand citizen, might be able to apply for an Adoption visa (subclass 102). it is consistent with any Australian child order. The documents you must provide with your application to support this claim are listed under the Follow these steps tab. We might ask for an assurance of support for the child so that welfare costs for some migrants are not borne by the Australian community. Do not provide an assurance of support unless we ask for one and tell you what you need to do. support the child to attend any required English language class. You must tell us in writing if circumstances change in a way that could affect the child’s eligibility for a Child visa, or your eligibility to sponsor the child.